Before there was this phenomena called the foodie, there was my dad. He's the annoying guy who likes to make adjustments to every dish he orders. He's the creep who hovers around the kitchen, watching the chefs, smelling the aromas, and studying the craft. 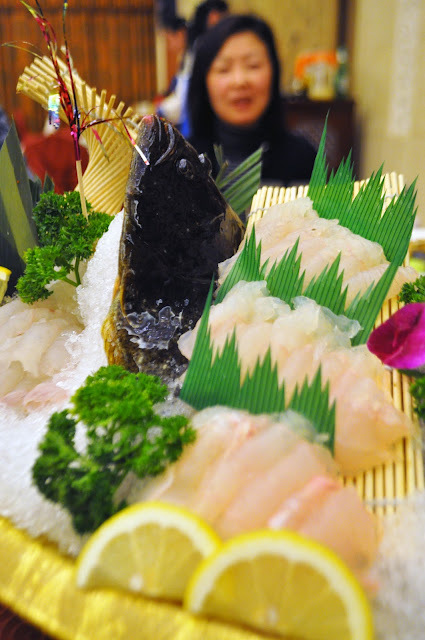 He's the demanding customer who picks the fish from the tank, follows it to the kitchen, and watches it get butchered to make sure the fish he eats is the fish he chose. But nonetheless, he is the ultimate patron of food. I've absorbed some of his passion for better or for worse and now I constantly seek new flavors and food experiences. Yalu River fish, caught in the river that divides China and North Korea, was still alive while we ate its sashimi. It was a cruel and unnecessary presentation but I ate it so that it would not die in vain. I cannot lie, it was delicious. 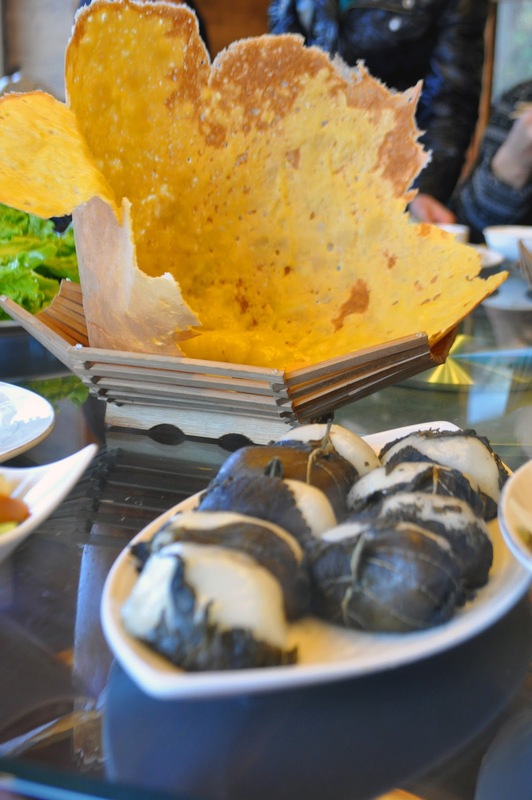 Cornbread like a jumbo waffle cone and leaf wrapped-bean filled rice balls like mochi are just a few of the dishes indigenous to Dandong in northeast China. Shanghai sticky rice stuffed lotus root in chamomile infused syrup. A memorable meal with my mama.